“Our inquiries into your complaint have identified potential violations that fall outside of the jurisdiction of our office and, as a result, the RCMP are now engaged,” the election commissioner’s investigations manager, Steve Kaye, stated in a March 9 email obtained exclusively by CBC News. It’s alleged Callaway was a “kamikaze” candidate who entered the race to attack former Wildrose leader Brian Jean on Jason Kenney’s behalf, a story that broke when audio was released of a conversation outlining the plan. In a statement, the UCP said Kenney’s campaign did not transfer any money to another campaign, and that they have not been contacted by the RCMP. CBC’s legislative reporters Kim Trynacity and Michelle Bellefontaine bring you expert analysis and insiders’ insight into the week’s top Alberta political stories on The Ledge podcast. RCMP media relations spokesperson Fraser Logan said the police policy is not to confirm an investigation is being conducted in unless charges are laid. 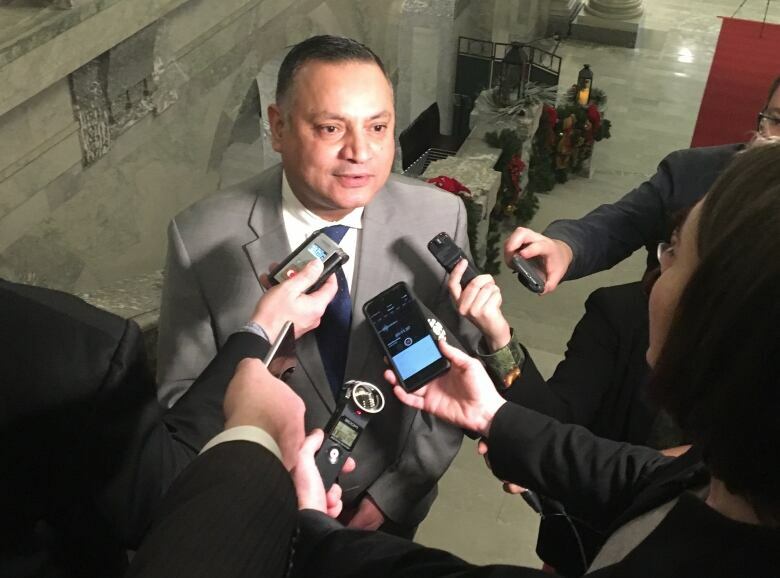 In December, the election commissioner launched an investigation into allegations of irregular contributions to Callaway’s campaign during the 2017 UCP leadership contest, after receiving an anonymous complaint dated Nov. 30, 2018, a copy of which has been obtained by CBC News. Gill made similar allegations in his complaints to both the election commissioner and the RCMP. During the final day of the legislative session in December, Gill alleged more than $40,000 in “very suspicious donations” had been made to a UCP leadership candidate — Callaway — who attacked former Wildrose leader Brian Jean, who was also a contender for the UCP leadership. On March 6, the UCP removed Randy Kerr as the UCP candidate for Calgary-Beddington for not being forthright about his $4,000 contribution to the Callaway campaign. The party said it provided “new information” it had obtained about the contribution to the election commissioner. Kerr and Cameron Davies were co-campaign managers of Callaway’s UCP leadership campaign. The chair of the party’s leadership election committee, Robyn Henwood, said the candidates doubted the vote’s security because of concerns with voters’ personal identification numbers (PINs). In February, Gill sent a letter to the RCMP alleging that Kenney’s campaign improperly manipulated the electronic voting process during the vote.